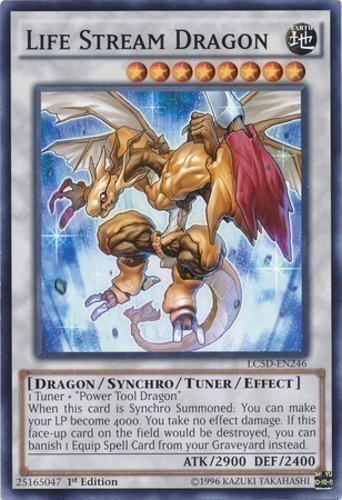 1 Tuner + "Power Tool Dragon"
When this card is Synchro Summoned: You can make your LP become 4000. You take no effect damage. If this face-up card on the field would be destroyed, you can banish 1 Equip Spell Card from your Graveyard instead.